Sephora Cyber Weekend deal is up! 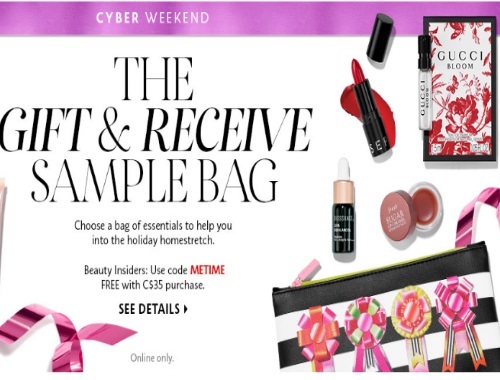 Get a Gift & Receive Sample Bag with any online order of $35 or more! Choose a bag of essentials to help you into the holiday homestretch. There is a choice of 4 different bags, while quantities last. Enter the promo code METIME at checkout to get the offer.